Durastar medical casters are engineered to offer versatility and provide ergonomic operation. 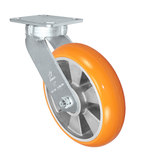 These casters offer maintenance free operation to ensure a long service life. Whether you are looking to upgrade your I.V. stand casters, need to outfit your clean room with our stainless wash down casters, or have carts in your service department needing replacements, we have an engineered performance caster to surpass your expectations. 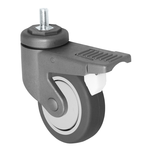 Durastar light duty casters can withstand up to 145 lbs. The casters applications are including display stands, food service equipment, medical carts​, utility carts, shopping carts, shelf trucks and electronics. Durastar light to medium duty casters can withstand up to 400 lbs. The casters applications are including dollies, hospital beds​, food processing equipment, hand trucks, shopping carts, bakery racks, conveyors, electronics and laboratory equipment. Durastar medium to heavy duty casters can withstand up to 1500 lbs. The NSF certified stainless steel casters applications are including laboratory, food service equipment, platform trucks, security carts, utility carts, lift tables and machineries. 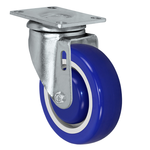 Durastar heavy duty casters can withstand up to 2000 lbs. The casters applications are including trolleys, industrial machineries, ​heavy duty carts, mobile tables, dumping carts, lift tables.